This Week in Science History - Pasteur Presents "Germ Theory"
This week in science history saw, in 1878, Louis Pasteur give his important lecture on his evidence in support of 'germ theory' to the French Academy of Sciences, describing how diseases were not spontaneously generated but caused by microscopic organisms, an idea that was not widely accepted by the medical community at the time. 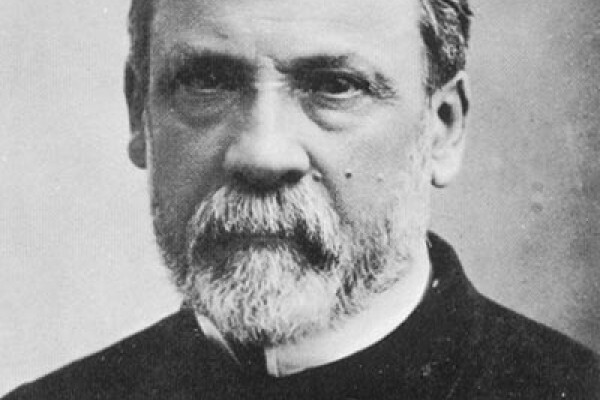 Pasteur is considered to be one of the fathers of modern microbiology, along with Robert Koch and Ferdinand Cohn. For hundreds of years, it was believed that some life arose by 'spontaneous generation', where something living would come from something non living, and idea first discussed by Aristotle. One philosopher in the 16th century even suggested a recipe for 'making' mice - involving leaving a soiled cloth wrapped around wheat for 21 days! This idea of spontaneous generation began to fall out of favour as scientists began to suggest that diseases were caused by some sort of transferable agent. The first to observe microorganisms was the Dutchman van Leeuwenhoek in the mid 18th century - but it was in the 19th century that evidence was found to really support the theory. The Hungarian Semmelweis reduced deaths in childbirth at his Vienna hospital by insisting doctors wash their hands between autopsies and delivering babies, realising some contagious agent was being transferred by the doctors. John Snow determined that something in the water supply coming from the Broad Street pump caused the cholera outbreak in Birmingham in 1854. One of the most famous experiments that provided evidence against spontaneous generation was carried out in Italy by Francesco Redi. He showed that maggots would not spontaneously generate from meat or fish left in sealed jars, but would appear if they were uncovered, suggesting they must come from the outside. His later experiments showed that the maggots came from flies. P asteur's presentation to the French Academy of Sciences involved describing the results of experiments that showed microorganisms (specifically the anthrax bacterium) could multiply in a sterile medium and that bacteria that cause blood poisoning or septicaemia could grow and multiply without oxygen being present. He came up with three methods of removing bacteria from a medium - filtering, heat or chemicals. The use of heat to kill bacteria in liquids, or pasteurisation, is still performed today on milk and fruit juice, and is named after Pasteur. The Scottish surgeon Joseph Lister read the paper from Pasteur's lecture and insisted on the use of carbolic acid in his hospital to disinfect surgical tools, wounds, dressings and operating theatres. Infections like gangrene reduced dramatically. Things we take so much for granted now - wash your hands after using the toilet, doctors scrubbing up before and after operations, alcohol gel in hospitals etc, but before this time, doctors and scientists who supported this sort of thing were seen as rather eccentric. Pasteur's lecture was the catalyst for the medical community to wake up to the dangers of micro-organisms and how preventing their spread could help to prevent diseases. Pasteur himself said of the ability to reduce infection and kill bacteria by using disinfectants that "it is a consoling hope that Science will not always remain powerless before such enemies"